Autism spectrum disorder is a condition related to brain development that impacts how a person perceives and socializes with others, causing problems in social interaction and communication. The disorder also includes limited and repetitive patterns of behavior. The term “spectrum” in autism spectrum disorder refers to the wide range of symptoms and severity. Autism spectrum disorder includes conditions that were previously considered separate — autism, Asperger’s syndrome, childhood disintegrative disorder and an unspecified form of pervasive developmental disorder. Some people still use the term “Asperger’s syndrome,” which is generally thought to be at the mild end of autism spectrum disorder. Autism spectrum disorder begins in early childhood and eventually causes problems functioning in society — socially, in school and at work, for example. Often children show symptoms of autism within the first year. A small number of children appear to develop normally in the first year, and then go through a period of regression between 18 and 24 months of age when they develop autism symptoms. Some children show signs of autism spectrum disorder in early infancy, such as reduced eye contact, lack of response to their name or indifference to caregivers. Other children may develop normally for the first few months or years of life, but then suddenly become withdrawn or aggressive or lose language skills they’ve already acquired. Signs usually are seen by age 2 years. Each child with autism spectrum disorder is likely to have a unique pattern of behavior and level of severity — from low functioning to high functioning. Some children with autism spectrum disorder have difficulty learning, and some have signs of lower than normal intelligence. Other children with the disorder have normal to high intelligence — they learn quickly, yet have trouble communicating and applying what they know in everyday life and adjusting to social situations. Because of the unique mixture of symptoms in each child, severity can sometimes be difficult to determine. It’s generally based on the level of impairments and how they impact the ability to function. Genetics. 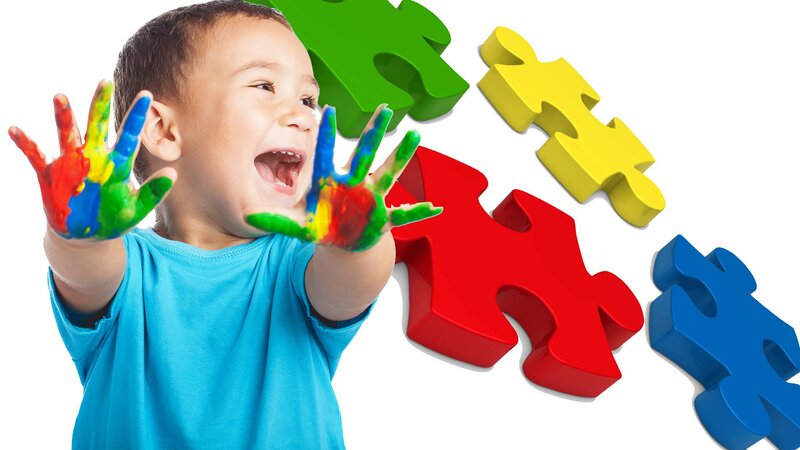 Several different genes appear to be involved in autism spectrum disorder. For some children, autism spectrum disorder can be associated with a genetic disorder, such as Rett syndrome or fragile X syndrome. For other children, genetic changes (mutations) may increase the risk of autism spectrum disorder. Still other genes may affect brain development or the way that brain cells communicate, or they may determine the severity of symptoms. Some genetic mutations seem to be inherited, while others occur spontaneously. Environmental factors. Researchers are currently exploring whether factors such as viral infections, medications or complications during pregnancy, or air pollutants play a role in triggering autism spectrum disorder.